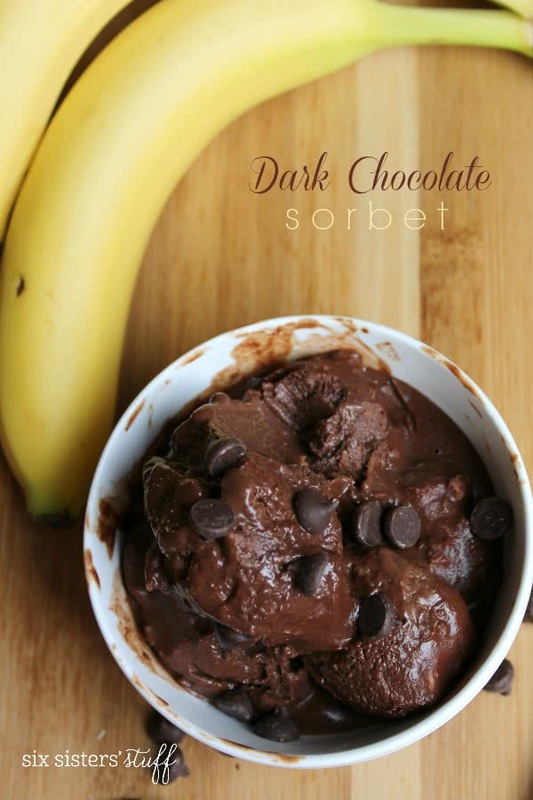 Dark Chocolate Sorbet with Wholesome! If you know the six of us, you know that we love anything chocolate, especially in the form of ice cream! We’ve been wishing for spring time and wearing sandals in hopes that the sun will come out and we can sit on our porches and eat ice cream cones. 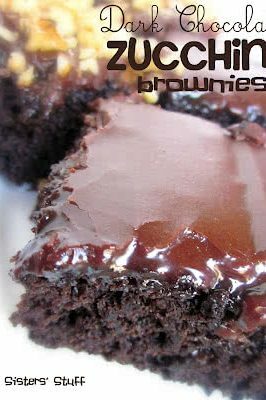 Unfortunately we aren’t quite to that point yet, but eating ice cream all year round has always been my thing anyways so why not bust out this chocolatey goodness in February? Hello Dark Chocolate Sorbet! We’ve recently been introduced to some products that are going to change your world! 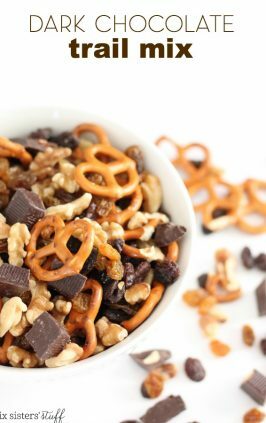 Wholesome!® is a line of sweeteners that allow you to create your favorite recipes with organic, non-GMO, gluten free, products. 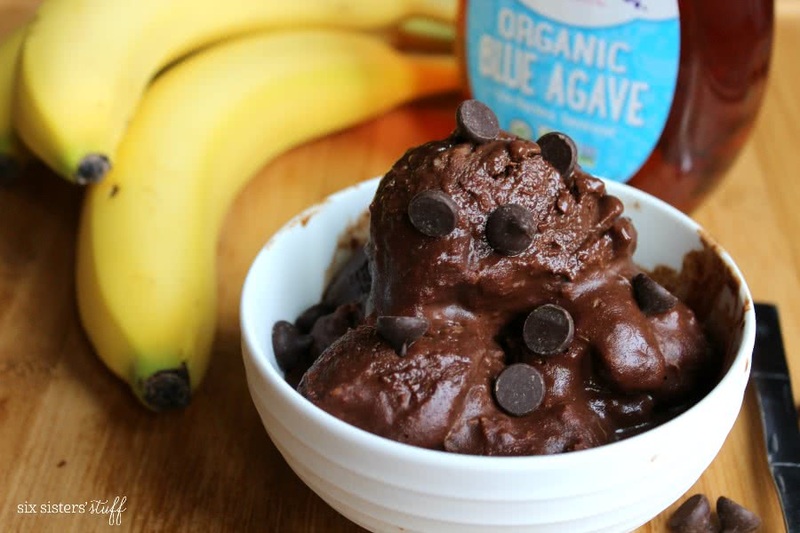 We tried their Organic Blue Agave in this Dark Chocolate Sorbet and were not disappointed! The taste is amazing! 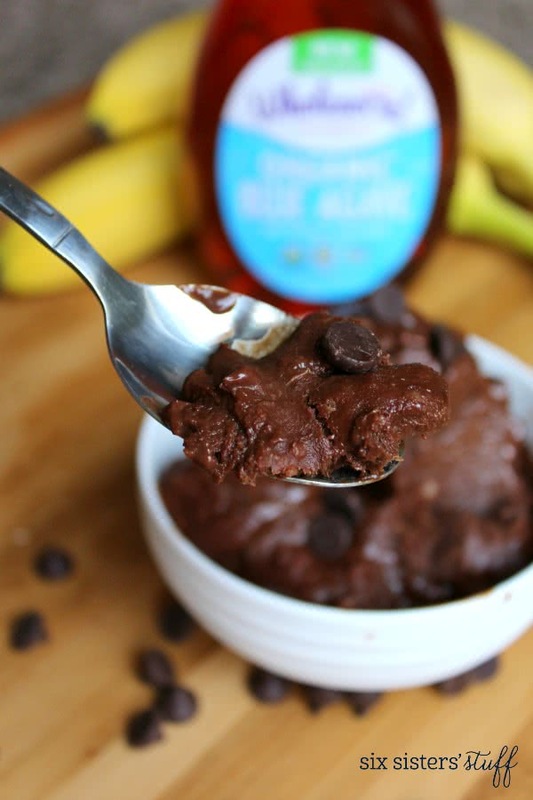 In a saucepan over medium heat, whisk together Wholesome!TM Organic Blue Agave, milk, salt, and cocoa powder and bring to a boil. 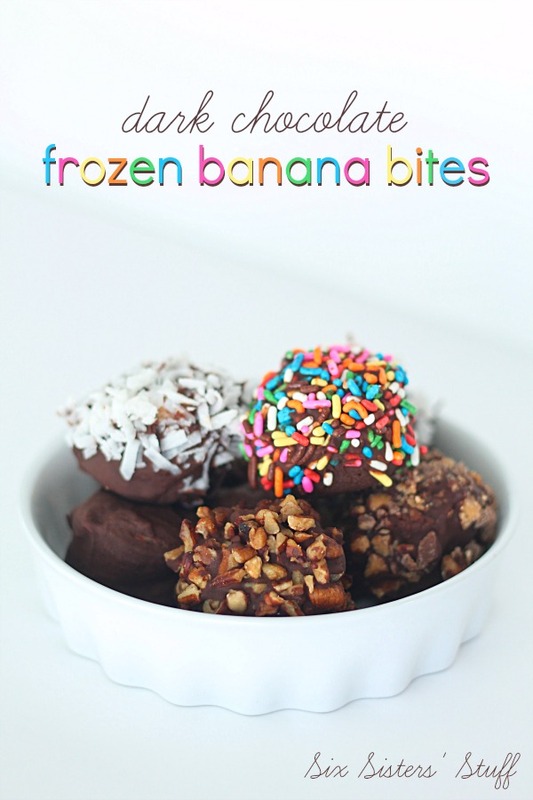 Reduce heat to low and stir in chocolate chips, mashed banana, and vanilla. Continue stirring until all chocolate chips are melted. Pour mixture into freezer safe container. 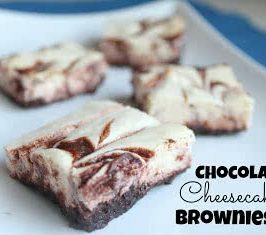 Remove from freezer and let thaw for 15 minutes, serve, and enjoy! If you haven’t heard of Wholesome!® and their line of sweeteners, we would highly recommend checking them out! As sisters we are always trying to find the best things to feed our families and our bodies. Yes, we do love our treats, but we can love them even more with these high quality products. All Wholesome!® products have incredible benefits, all are non-GMO and completely organic. Another great thing about the Organic Blue Agave is the fact that it’s low glycemic. This means you won’t see any spike in your blood sugar when used with other low glycemic products. 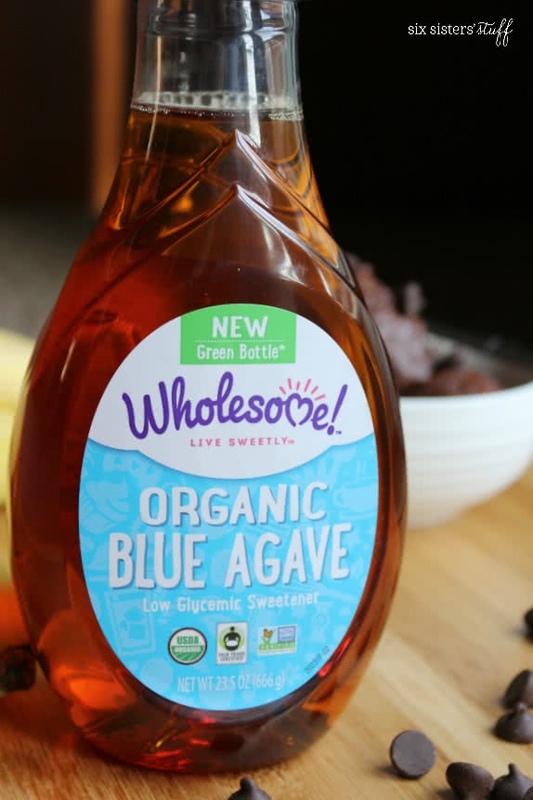 Call me crazy, but I’d eat this Organic Blue Agave straight from the bottle, it’s THAT good! We all need a little sweetness in our lives, and Wholesome!® doesn’t disappoint!